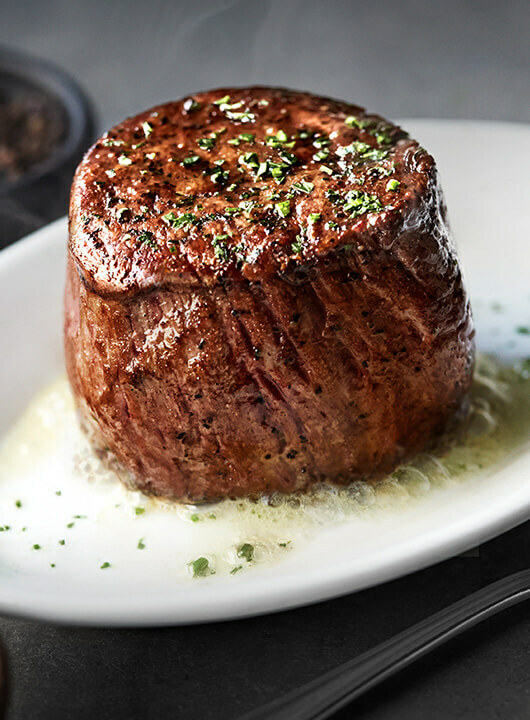 Get the best steakhouse experience at Ruth’s Chris Steak House in Fort Wayne, IN. Our special 500° sizzling plates and award-winning wine list are the perfect pairing for any occasion. Whether you’re joining us for a romantic dinner, a business meeting, a private party or just a drink at the bar, our Fort Wayne steakhouse will deliver superior service and an unforgettable dining experience. Take a tour of Ruth's Chris Fort Wayne before you dine. Who is Ruth? Why is it called Ruth's Chris? What's the reservation policy? Explore to find out! Now accepting applications for all front-of-house and back-of-house staff. Public Parking Garage is available walking distance from restaurant. Free for 30 minutes, $0.50 every 30 minutes after. Thank you for not wearing: Gym wear or sweat pants, tank tops, clothing with offensive graphics or language or exposed undergarments.